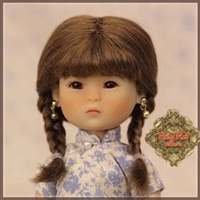 Brown Long Curly wig for 12” InMotion Girl doll. 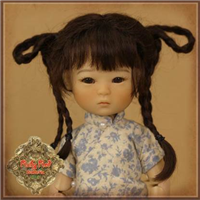 Blue long hair wig with braids for 12” InMotion Girl doll. Suitable for: Ten Ping, Four Kindergartner and StrawBerina dolls. 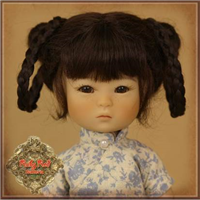 Brown mohair wig size 5-6. 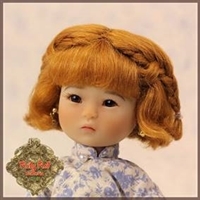 Light brown mohair wig size 5-6. 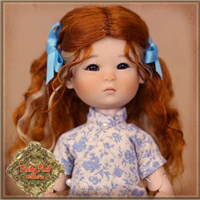 Red mohair wig size 5-6.